Breakaway’s EDM and hip hop spectacle is playing Grand Rapids on a site that’s never been used for an event like this. Read a veteran DJ’s take on this festival that drew thousands of young fans on opening day. 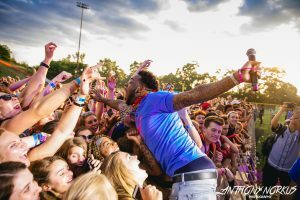 EDITOR’S NOTE: Breakaway Music Festival — which started in Columbus, Ohio, several years ago — made its Grand Rapids premiere Friday at Belknap Park, a site north of downtown Grand Rapids that’s never previously been used for a music festival. Local Spins asked longtime Grand Rapids DJ Todd Ernst to evaluate the festival’s debut. Here’s his commentary. Check out full coverage of Breakaway with photos, video and more online here with a festival schedule below. Disclaimer: This is not going to be a review of the artists, so much as it is about the infrastructure and quality of the event itself. 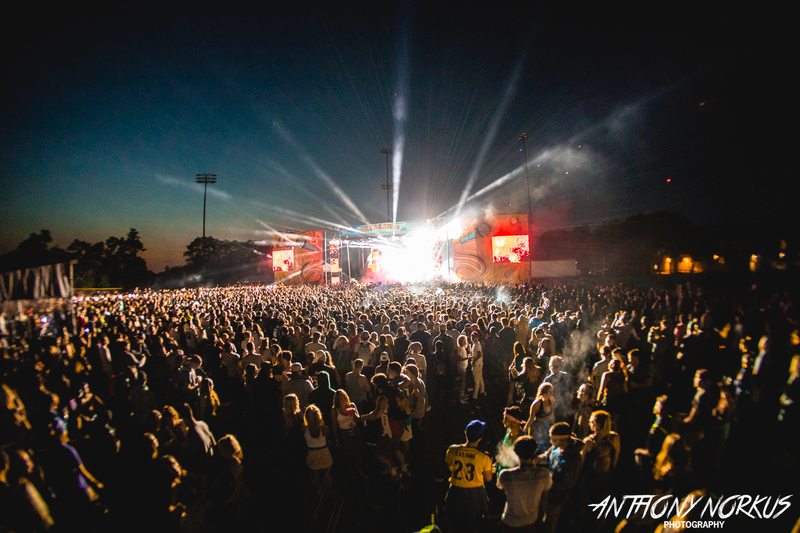 As the production director of the former City Lights Music Festival (10,000 attendees), and producer of Barfly Ventures’ Irish on Ionia events (20,000 attendees), I am certainly no stranger to what it takes to a build a safe and prosperous festival style event. Furthermore, when a crew new to our market proposes an event the magnitude of Breakaway, people in my position often take the default stance of concern, and in my case, curiosity as well. Columbus, Ohio’s Prime Social Group, and Lansing’s MiEntertainment Group certainly did not disappoint in what appears to be each organization’s inaugural outing in Grand Rapids, as this is one of the best structured and produced events I have attended in West Michigan. First, let me offer that this was a bit of a different circumstance for me: I was helping chaperone our teenage kids as a bit of a birthday party for another dad’s daughter. Ironically, he lives in the Belknap Park neighborhood, so after meeting at his house and a quick walk down, we were able to mitigate the lack of on-site parking. Upon entering, we did have one small entrance ticketing snag (user error), but after a text to PSG’s director of Michigan operations, he promptly accommodated us and we were on our way. Despite initially perceiving what had the potential to be a logistical nightmare, Belknap Park proved to be the perfect setting for such an event. After a quick conversation with Grand Rapids Police Department’s Lt. Pat Dean, it was clear that the police took their presence on site quite seriously and that the safety of the guests was paramount (as is always the case in my experience). 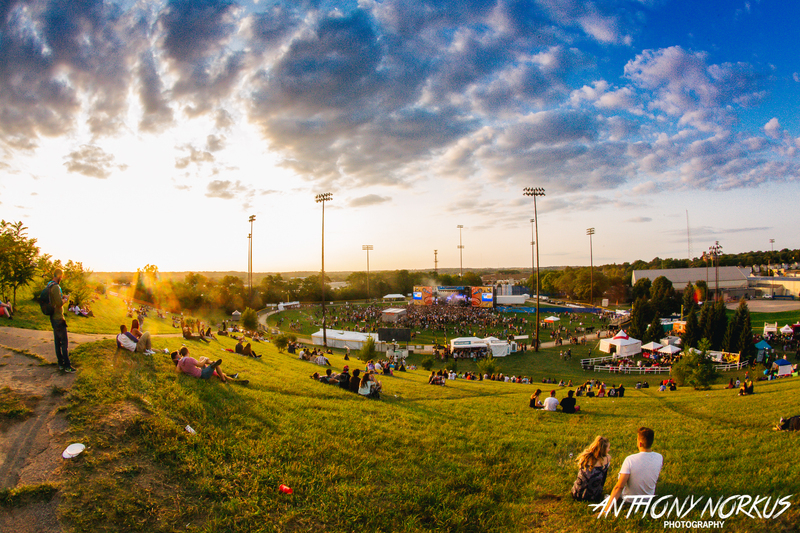 While most of the action took place in the outfield of the baseball diamond, the hill on the south side of the park provided to be a great natural amphitheater-style setting. Navigating Robert Morris’ 1970s earthworks sculpture called Project X made it easier to traverse the large hill, and the vantage point of the festival grounds from high above was rather impressive. 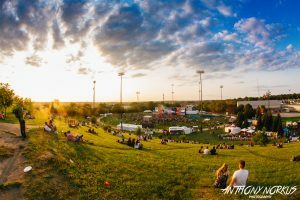 For those looking for the 2nd stage (aka the Silent Disco), you will find it at the top of the hill. Personally, I felt the sound could have used a little more horsepower; but to be fair I have also read many social media posts about houses rattling several blocks away, so it is entirely possible there is a decibel rating they were trying to remain below with the surrounding neighborhood. That opinion aside, the audio, visual, lighting design/production was some of the best we have experienced in West Michigan, and certainly worthy of a professional tip of the hat to BUS 8 Productions. I am just guessing here, but I suspect Saturday is going to be twice as busy as Friday night, especially with Russian-German EDM star Zedd headlining. That said, I am curious to see how the model holds up with greater numbers at Belknap Park. Regardless, PSG has a lot of experience in many markets so I imagine they’re ramping up for a big night. Lastly, in the ‘there is always room for improvement’ column, while my friend and I had the luxury of experiencing most of the event from Red Bull’s VIP deck while the kids enjoyed the thrust of the stage, it was clear there was a need for more refuse containers, certainly something that delineates empty cans from normal trash. If you’re planning to attend Saturday, or even thinking of allowing your teenager to attend, the event itself and grounds are a safe and solid option. Parents, if you’re doing a post-event pickup, decide on an extraction area ahead of time and stick to the plan. That said, there is almost no parking to speak of in the surrounding area (most streets had no parking signs), and the natives might be getting restless as far as traffic goes. Hence, it is best to take festival shuttles or an Uber in. If you insist on driving in, my recommendation would be to follow the cardinal rule of simply being polite and playing it cool while you’re a guest on someone else’s turf. Prime Social Group and MiEntertainment Group: Cheers to a great showing on Friday night, and best of luck on Saturday. We hope to see you again in 2018. 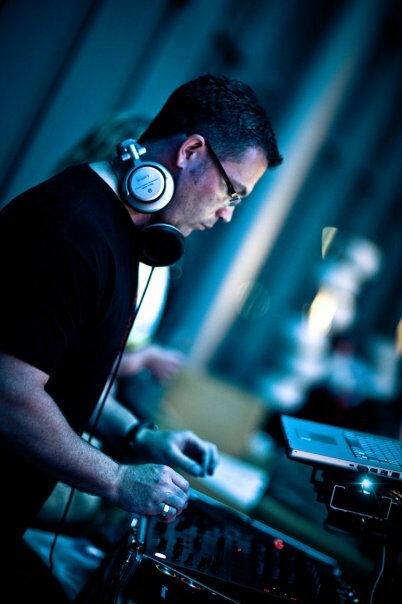 ABOUT THE AUTHOR: DJ Todd Ernst has been an electronic music DJ and promoter for more than 25 years. His company, EXSIGN, is a creative and marketing team that designs, manages, markets and produces high-end corporate, personal and nightlife events. He’s also one of the founding team members for TEDxGrandRapids.